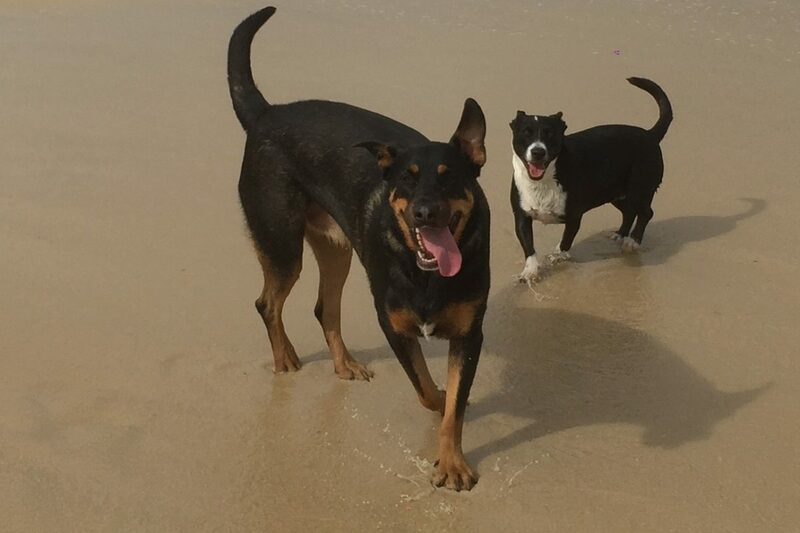 Carolyn Trethewey has been treating my 2 rescue dogs, Ben, a 2 year old german shepherd cross and Cleo, a 3 year old bull terrier cross, for the last 2 months with Reiki once weekly. I asked Carolyn to help with them (mostly Ben) for their anxiety and Ben’s mobility issues (he has hip dysplasia). I have found Carolyn to be a great help! My dogs are so relaxed after their reiki session and seem to gravitate towards Carolyn during the sessions and the long term effect has been an obvious decrease in their anxiety (being rescue dogs), in fact little anxiety seen! I must admit even I have been feeling relaxed especially on the day of the reiki. The reiki has also helped with Ben’s mobility and healing and I will be using Carolyn’s reiki sessions to help with his healing after he has a hip replacement. I can recommend Carolyn and reiki to any of my clients, for anxiety and health issues and can’t thank her enough.